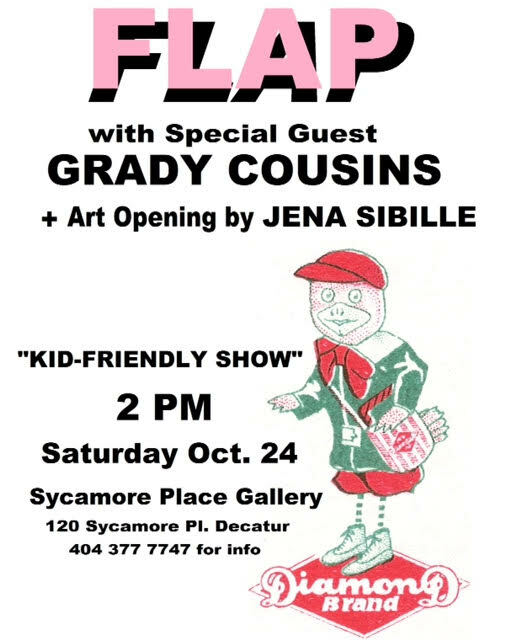 Please also check the Facebook pages of Decatur Art classes and Sycamore Place Gallery for special events! 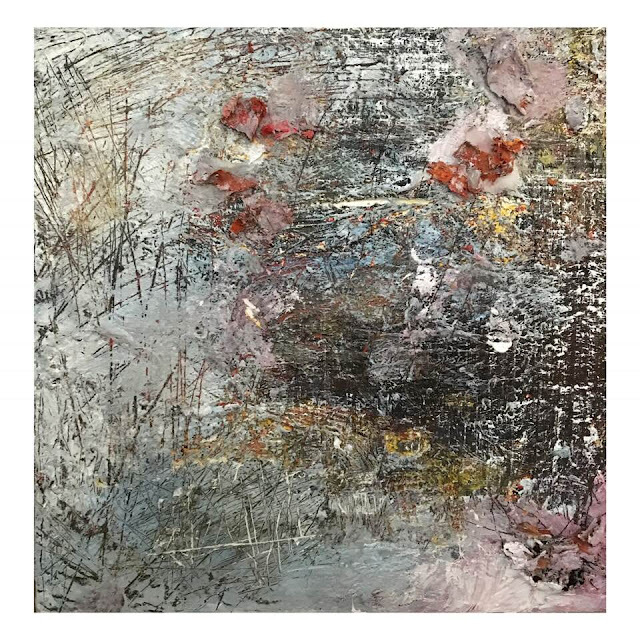 Lindy Wood’s “Paintings of Memory," works in oils on Masonite and canvas. Please join us on Saturday,October 27, from 6-10 pm. Wine and light fare served. 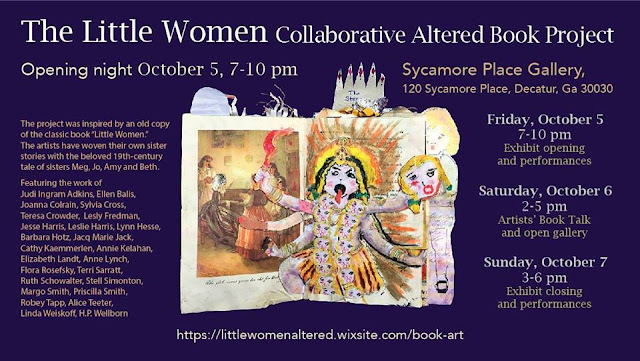 Please join 25 Little Women Artists at Sycamore Place Gallery Friday September 5 from 7-10 pm for viewing their art compiled in an altered book form examining “sisters” relationships. 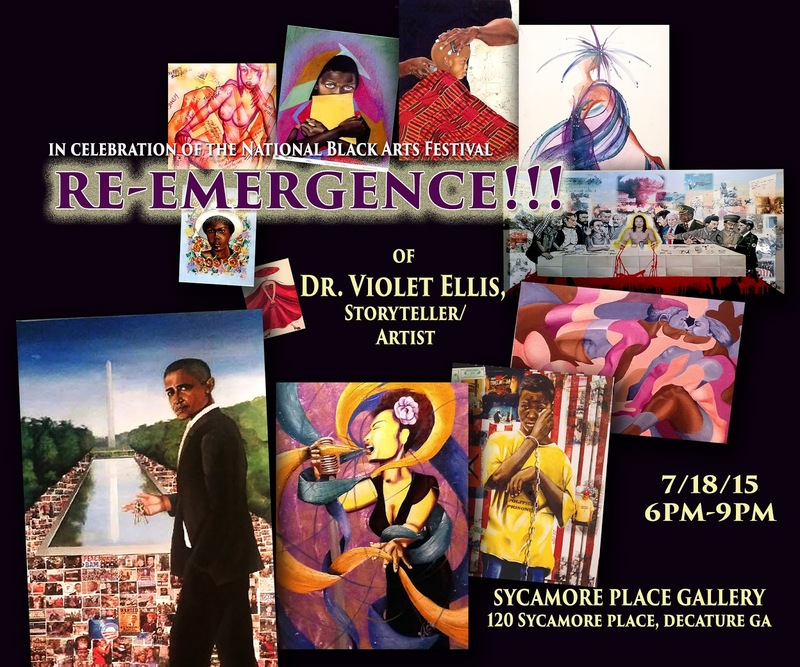 There will be Art, performances,song and lively discussions accompanied by light fare and fun. 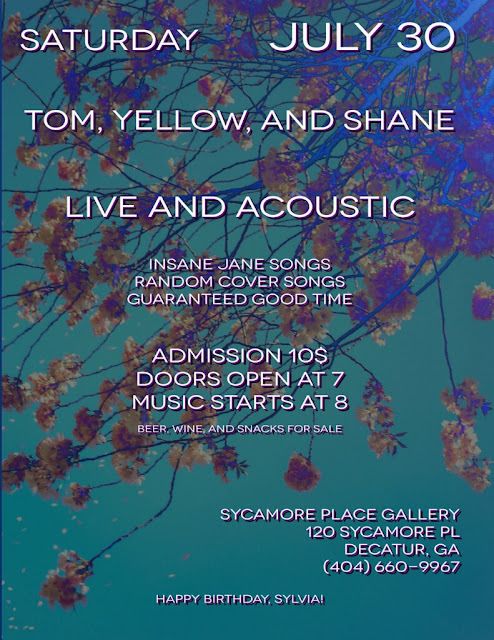 This is free and open to the public. 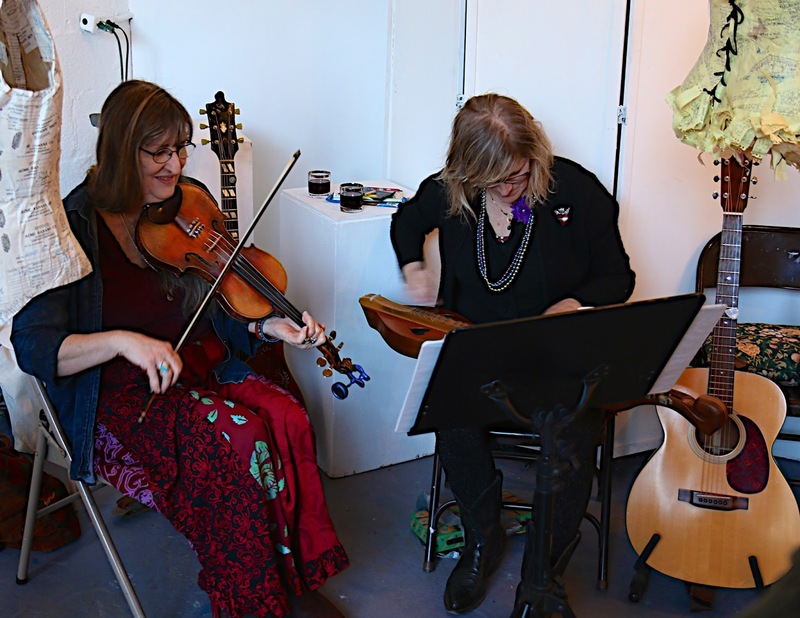 Thursday, June 21 Ms.Sylvia and Ms.Pandra tell the Bee utiful Bee-sines of the Pollinators with a children’s storytelling and puppetmaking from 5:30-6:30 at Sycamore Place Gallery. 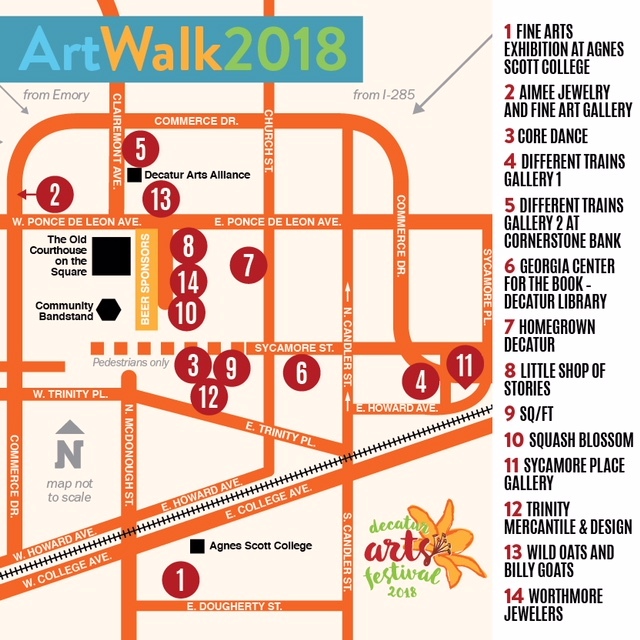 The Decatur Art Walk is this Friday, May 25, all around Decatur, including at the Sycamore Gallery! 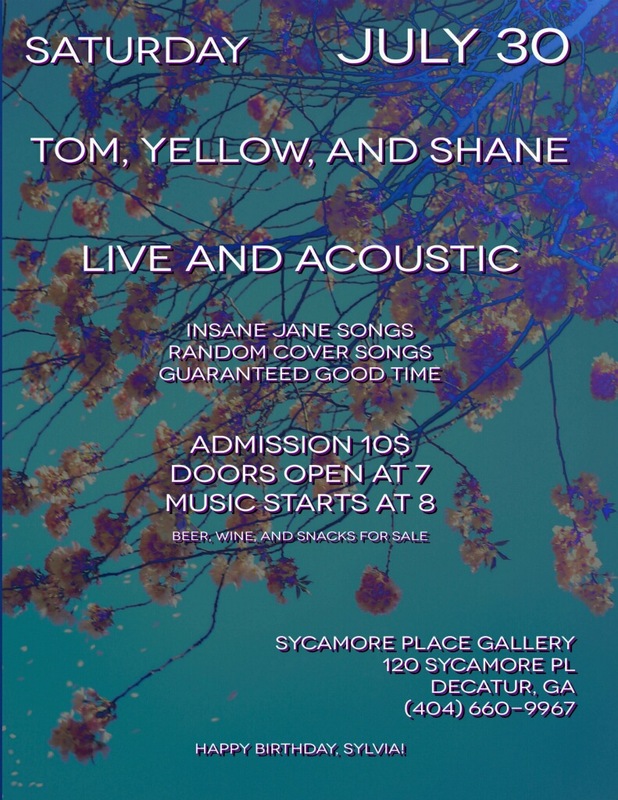 Join Sycamore Place Gallery from 7-10 p.m. on Friday, May 25 to celebrate the art and music of the late Whit Connah, former front man for Atlanta band Hair of the Dog. The band and special guests will pay homage to Connah’s unique brand of Cajun, blues and roots music in a live tribute performance. Beverages and light fare will be served. The evening kicks off a two week exhibit, Legacy of a Legend, featuring works by Connah and 13 resident artists. 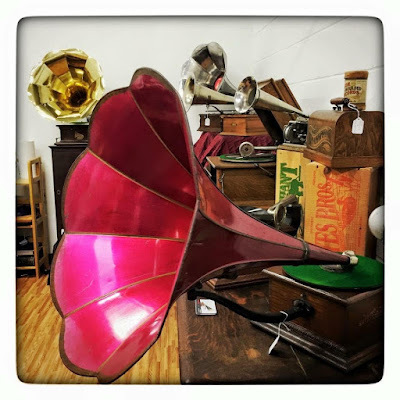 Please join Us on December 2 from 5-8 pm at Sycamore Place Gallery for FUNand A potluck featuring the 13 Stupendous Studio Artistes and Marvelous Moira's Music Parlor!!! Affordable Holiday ART and gift certificates for art & music classes will be available for purchase!!! 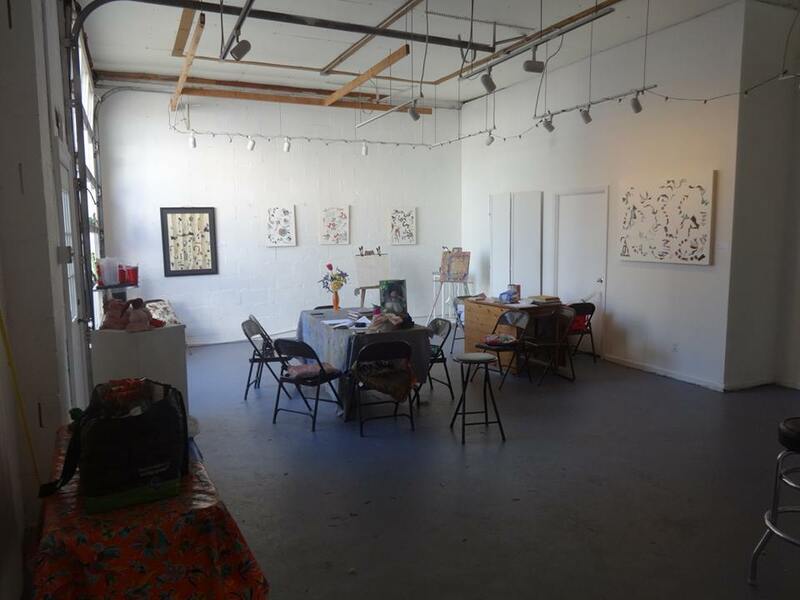 Holiday Art Camps will be held at Sycamore Place Gallery for ages 4-11 years . 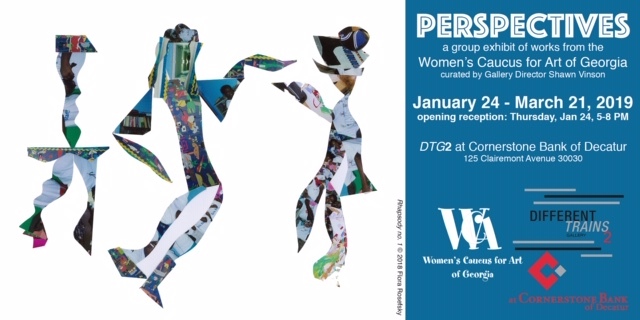 Workshop Description: Enjoy physically active days with time for drawing and dreaming during this engaging workshop. Canoes are our magic carpets that let us experience the beauty and serenity of the famous Okefenokee Swamp quietly and respectfully. With the help of expert leaders’, you will gain an in-depth understanding of the complexities and delicate balance of this incredible national wildlife refuge while learning how to capture the Swamp’s natural beauty and interpret it abstractly. Combining the talents of Professional Interpretive Naturalist Cathy Sakas with that of Master Teaching Artist Sylvia Cross will yield a magical memoir for New Year's 2018.  Ring in the New Year Champagne Celebration! Ms. Sylvia has been drawing and dreaming for over 50+ years since she was born in Savannah, Georgia. Her earliest memories are of seeing pictures in the grain of the wood paneling of her parents’ bedroom and of flying dreams that took her on trips through the sky. Sylvia graduated from Georgia State University with a BFA in Drawing & Painting. 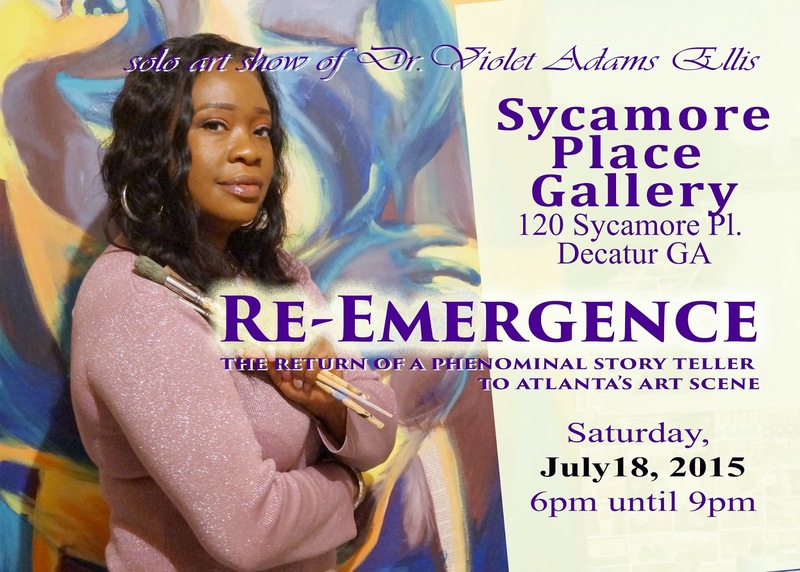 She owned the iconic Sylvia's Atomic Cafe in Atlanta and currently owns Sycamore Place Gallery in Decatur. Sylvia lived in a tree house in Costa Rica where she rose with the sun and Howler Monkeys screaming. She lived in Verona, Italy and drove a blue bicycle through the village. And she drew her dreams. She uses the lyric of the present to create a visual memoir. Cathy’s lifelong love of the ocean began on the Chesapeake Bay near her birth town of Portsmouth, Virginia. She earned a B.S. in Biology and a M.Ed. in Science from Armstrong State University in Savannah, Georgia. As a professional interpretive naturalist specializing in ocean and coastal environments Cathy leads wilderness educational expeditions. She wrote and co-produced two Emmy winning nature documentary series called Coastal Naturalist for Georgia Public Television and Secret Seashores, a single program. Cathy hosted and was naturalist for a multiple Telly award winning nature series of 66 programs for Turner South, The Natural South. During Cathy’s 15 years with NOAA she served as an ocean science educator and scientific diver and pilot of a one-person submersible. She was also an aquanaut spending nine days underwater working out of Aquarius Habitat to research coral reefs. Cathy loves teaching others about nature in wilderness places and her favorite place in the world is the Okefenokee Swamp. Decades ago two elderly gentlemen doctors gave Cathy her nickname, Swamp Goddess. Years later she added Goddess of the Glades and Goddess of the Deep to her sparkly tiara. Cathy spends her time now serving on way too many boards associated with organizations about oceans. When time allows she writes short stories about her adventures in wild places in hopes that readers will want to experience the great outdoors too. 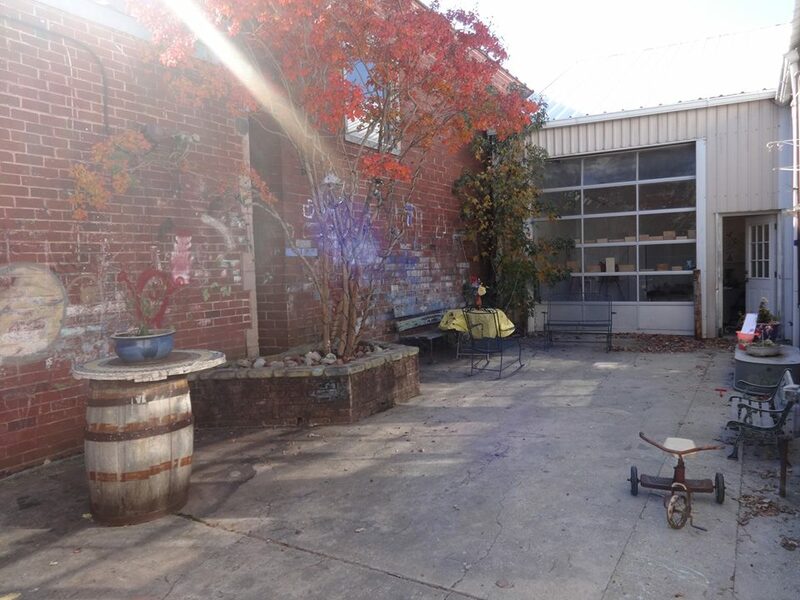 Roots Music Workshop starts at 4:00 (doors open at 3:30) and party starts at 6:00. I haven't set an end time- thinking 9/10ish. The workshop is $30 and $45 if 2 students sign up together and is free to my current students. Flora Rosefsky. Schach No. 2. Collage on paper with mixed media. 40 x 60 inches. Tea Dance in May ! Maggie and Jimmy with Ms.Sylvia's Lantern "Bee Goode" in the lantern parade. Contemporary British Prints • Sycamore Place Gallery • 6-9pm • featuring 10 artists, live jazz by P Jazz & craft beers from 3 Taverns. Four years ago Yellow and her Insane Jane Players played The Earl the night Sylvia returned from Mexico. She returns to Atlanta and Decatur for Sylvias Birthday on July 30 at Sycamore Place Gallery in Decatur. Rock n Roll at 9. 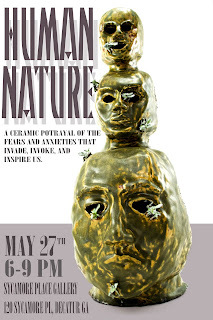 Friday May 27th, 6-9pm. 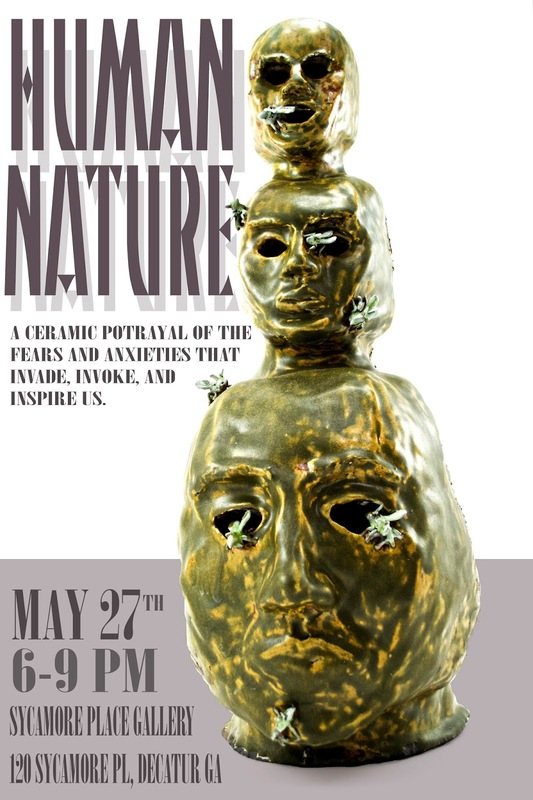 The title of the show is "Human Nature: A ceramic portrayal of the fears and anxieties that invade, invoke, and inspire us". It will be a complete series of ceramics, paintings, and mixed media. 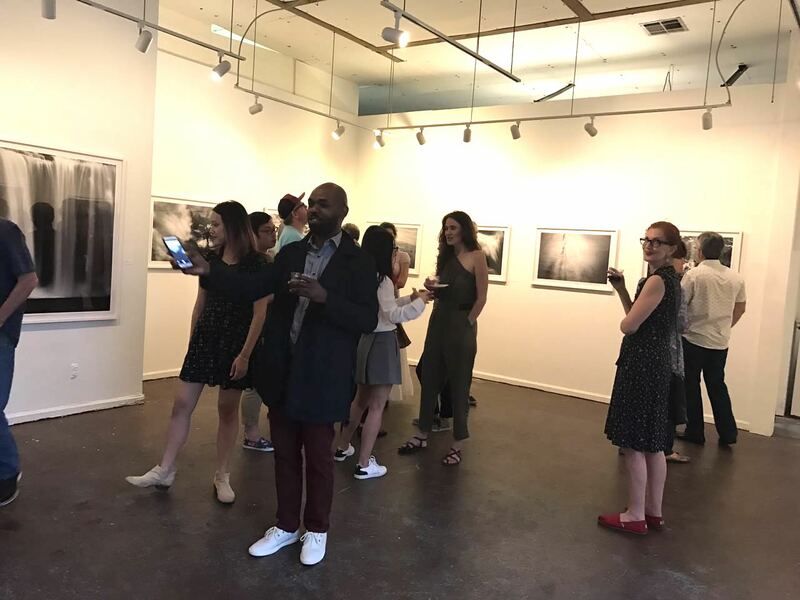 "Elise Roche is a visual artist who just recently graduated from the Lamar Dodd school of Art at the University of Georgia. Working in various mediums and techniques she has created an artistic voice she uses to help others find theirs. 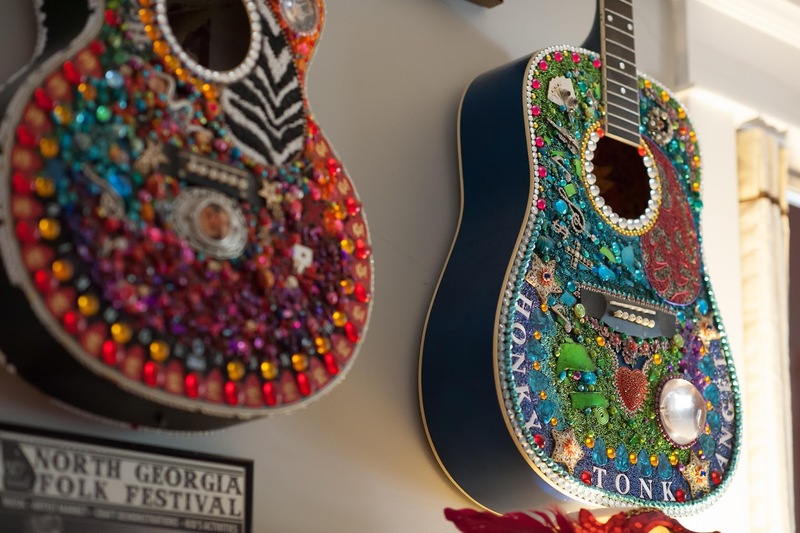 She will be beginning her Master's Degree in Art Therapy at Florida State University in the fall, and her career path has inspired the majority of her work. 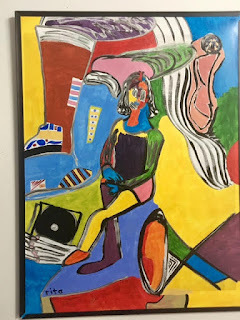 the Human Nature show is a theme Elise has been working on throughout her undergraduate career, inspired by therapeutic processes, and the mental ailments that so often lay just below an individuals' surface, that are so begging to be recognized." Please come to the "Holiday Delights Art Show & Sale" at Sycamore Place Gallery & Studios on Saturday November 21 from 7-10 pm. 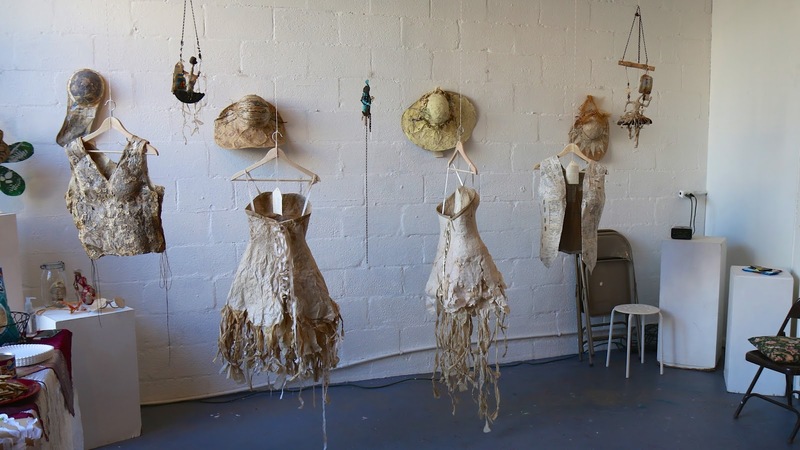 Featured is fine art work by Flora Rosefsky, Allison Shockley ("Floaters " pictured below) ,Sylvia Cross,Lisa Alembik and Cheryl Southern. ;Emerging Artists Student Work and Artists Open Studios . This is a family friendly event . W8ting4UFOs featuring wordsmith Bill Taft takes place at 9. 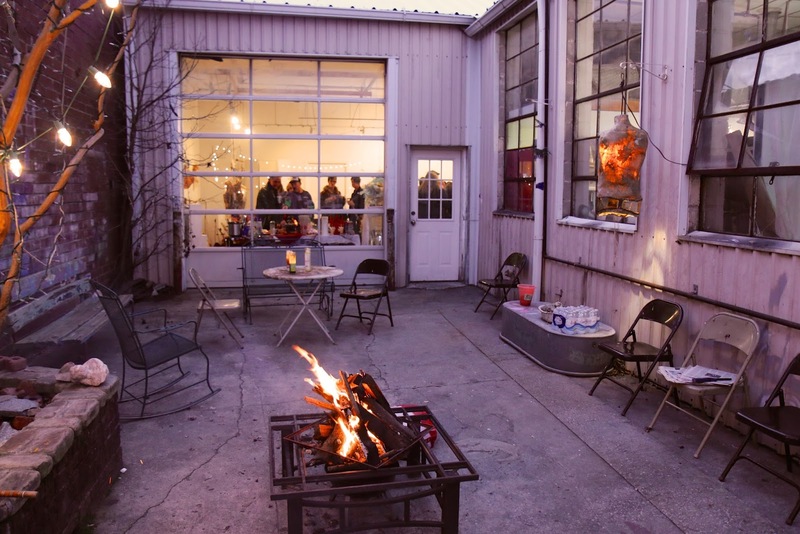 Saturday, November 14, 2015 2:00 p.m. - 4:00 p.m.
Join Art Partners on Saturday, November 14, as we tour Sycamore Place Gallery and Studios to meet five artists at their studios and to enjoy an artists talk program and gallery exhibition of their work. 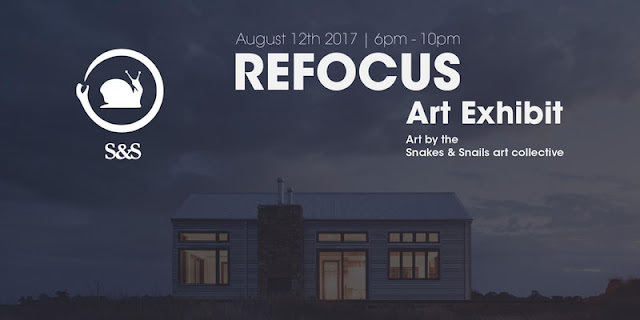 Hosted by gallery owner Sylvia Cross and artist Flora Rosefsky, we will have the opportunity to meet artists Lisa Alembik, Allison Shockley, and Cheryl Southern and to hear about the inspirations for their work, which includes drawing, painting, sculpture, collage, and mixed media. 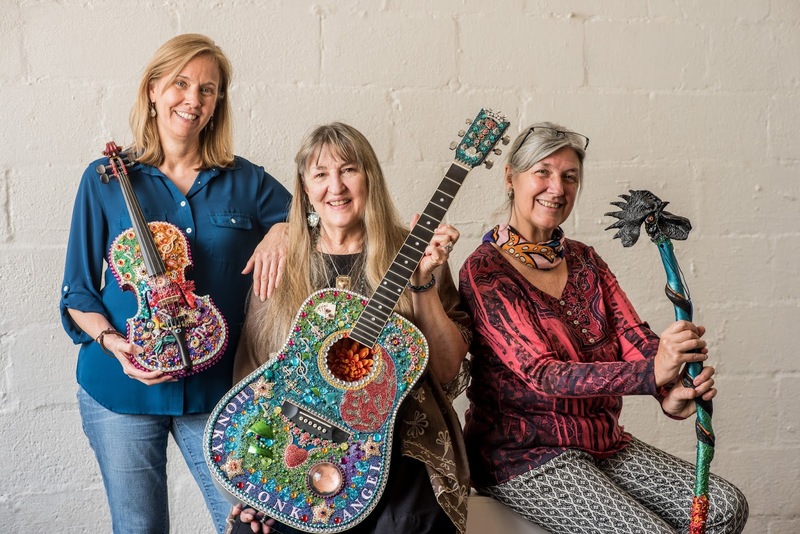 Sylvia Cross has been a fixture in the Atlanta arts scene for 25 years, except for a brief departure to live in a treehouse in Costa Rica and in Verona, Italy. She is a visual artist who teaches toddlers through adults in a comprehensive format where the environment complements the art. She uses a freeform, folk-art type of process. 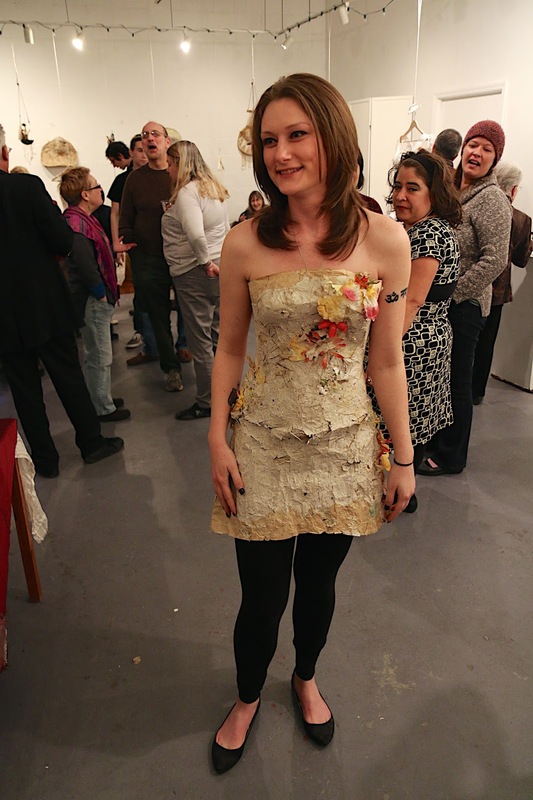 Flora Rosefsky is a collage and mixed-materials artist. She incorporates photography in her recent cutout abstract collage work and some mixed-media work using fabric with collage and drawing. She participates in juried, invitational, and solo shows, and her art has been collected by both institutions and individuals. 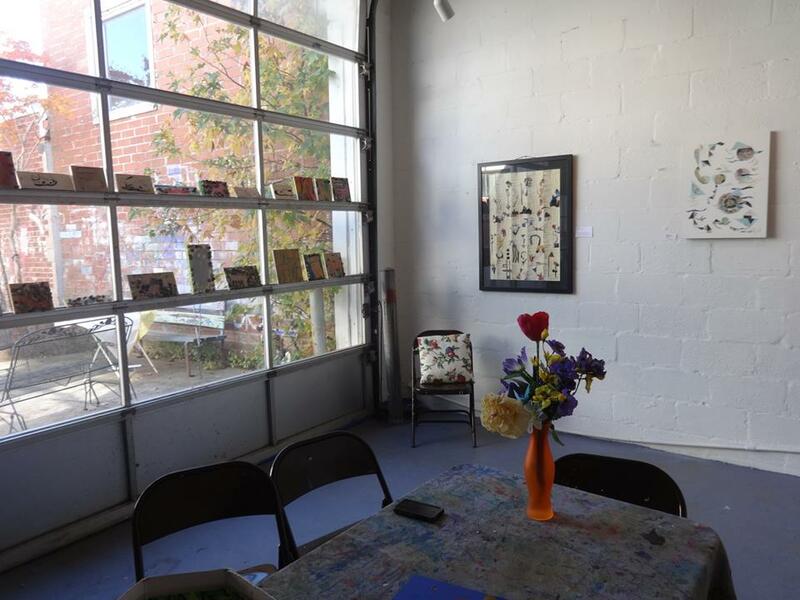 The other Sycamore Place members comprise a diverse group of over-thirteen artists, including one writer. They may be in their studios when we visit. Please click below to reserve your space! To learn more about Art Partners, please e-mail us. 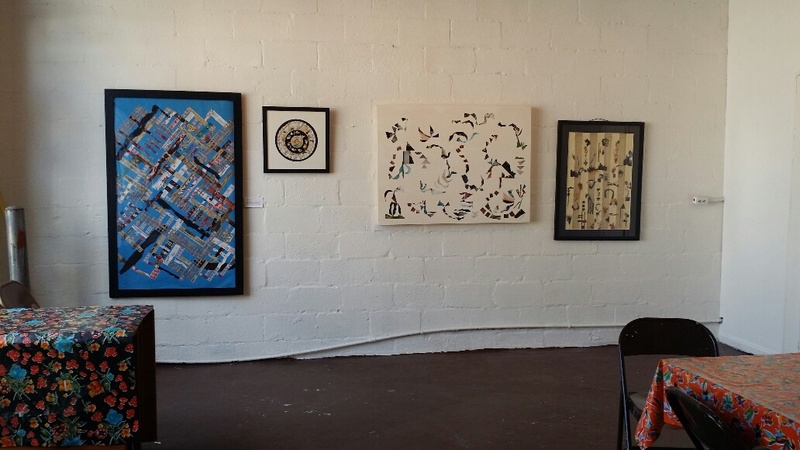 Woody Parks,a longtime student of Sylvia Cross and Sycamore Place Gallery is showing a new collection of work at Candler Park's San Francisco Coffee Roasting Co. for November. 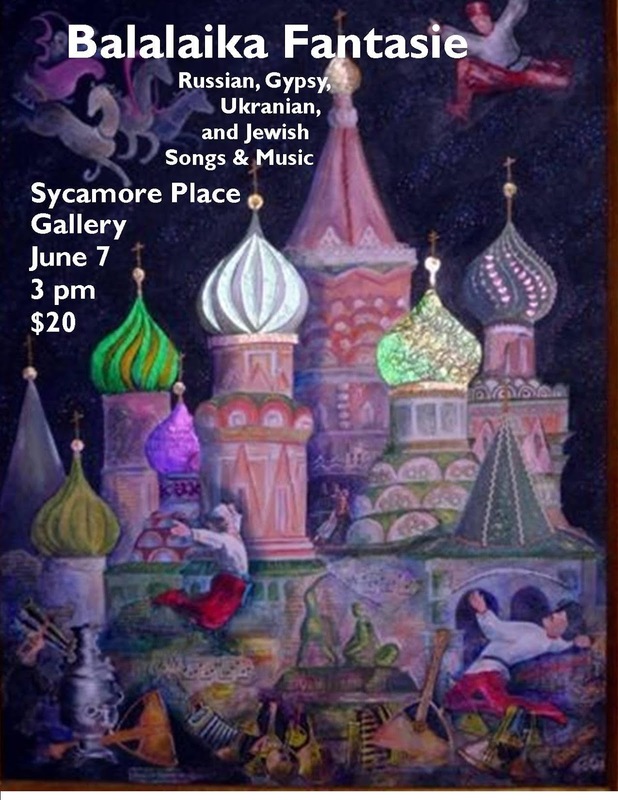 Listen to Susan Staley of the Athens band swing-jazz band, The Hobohemiansand folk group, The Solstice Sisters. She provides a mix and mingle of honky tonk, mountain country and swing music on guitar, ukulele, dulcimer, can-jo & more!